Hit-and-run cases are notoriously difficult to prosecute. This is because by the time that police are able to find the driver, they are generally only able to charge them with leaving the scene of an accident. Even if they were intoxicated at the time of the wreck, they will have time to sober before facing police. Another problem is that it’s difficult to prove that the driver knew he or she was in an accident. The Miami Herald reports that prosecutors were forced to drop a hit-and-run case against Joy Clayton after they weren’t able to furnish enough evidence to convict her. The charges stem from an accident that led to the death of a pedestrian. Adriana Mares, a cancer survivor, had just finished having dinner and was crossing the road to her vehicle when she was struck by a car. She rolled onto the windshield and fell to the ground. Police say that Clayton was driving at the time and failed to stop. Clayton says that she thought that someone had thrown a bottle or another small object at her windshield. She made the decision to drive away quickly because she was afraid someone was attacking the vehicle. When she returned home, she inspected the vehicle and said she saw no evidence of blood. The prosecutor dropped the case because they were unable to prove that Clayton was aware of the pedestrian accident. Mares’ family is understandably outraged, especially after they learned that there was evidence that Clayton was texting at the time of the wreck, which could explain why she never saw Mares. If they feel that justice hasn’t been served, they have the option of filing a wrongful-death lawsuit. The benefit of that is they would have a lower burden of proof in civil court. If you are planning to file a personal-injury lawsuit, you don’t have to do it alone. At Wolfson Law Firm, LLP, we’ve been helping victims and their families seek justice through civil lawsuits since 1963. 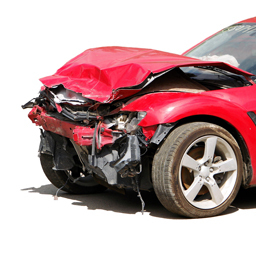 To speak with a personal-injury lawyer about your accident, call us at 305-285-1115. These types of accidents are more common than most people think. In fact, another happened this week. News-Press reports that a 68-year-old was attempting to cross the road when he was struck and killed by a reckless driver. Police say that the driver fled. People who lived nearby reported hearing a loud noise, but didn’t imagine that it was a car accident, so it took some time before police were alerted to the incident. At Wolfson law Firm, LLP, we are a team of experienced lawyers who are passionate about championing our clients’ rights. We pride ourselves on maintaining an open dialogue with our clients, and you can trust us to remain available throughout your lawsuit. To speak with a personal-injury lawyer in Miami, call us at 305-285-1115.